Born in County Monaghan in Ireland, after studying for a diploma in hotel management, in 1985 Moore seized the opportunity to do work experience at The Box Tree in Ilkley, Yorkshire, which had two Michelin stars. A year later he moved to the revered Le Manoix aux Quat’Saisons in Great Milton, where he was taken under the wing of Raymond Blanc. During his time there, Moore broadened his wine horizons, and learnt his Pouilly-Fumé from his Pouilly Fuissé. He cites the then restaurant manager, Alain Descenclos, as the most influential mentor of his career. 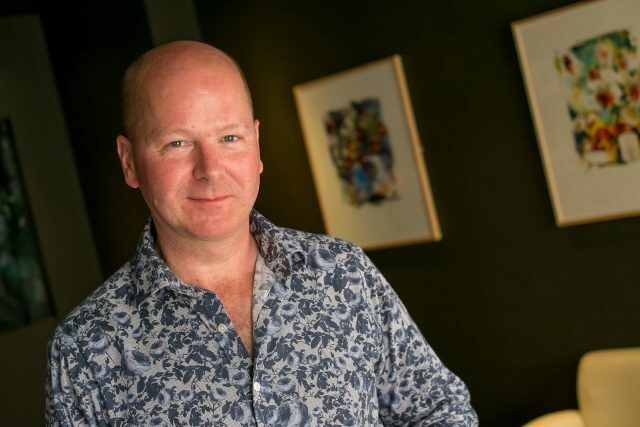 After six fruitful years at Le Manoir, in 1991 Moore struck out and opened his first restaurant, French fine-dining venue Pied à Terre on Charlotte Street, which won a Michelin star a year after opening. From 1996 to 1999 the restaurant held two stars under fiery head chef Tom Aikens. Disaster struck in late 2004 when a fire ripped through the site, leading to its closure for most of 2005. Determined to keep the business going, the venue reopened in late September 2005. Two years later Moore opened a second restaurant, L’Autre Pied, in Marylebone, which closed last September after a decade in business. Pied à Terre boasts one of the most diverse wine lists in London, with bottles ranging from the late £20s to more than £8,000 (for Petrus 1982). Featuring drops from prominent estates and a broad range of vintages, the majority of wines on the list are bought directly from the châteaux. The site has long been a champion of esoteric wines from lesser-known regions, such as Slovenian Malvasia, Greek Viognier and Israeli Chardonnay, with wines from Serbia and Uruguay also making an appearance on the list. A household name in the restaurant industry, Moore has become a vocal spokesman for the London restaurant scene. This summer he blamed the UK government for the “Brexit-induced restaurant Armageddon” going on in the UK, accusing the government of “sitting on its hands” while dozens of restaurants are forced into administration because of rising rents. A diehard white Burgundy fan, Moore has recently acquired a taste for white Bordeaux – Haut-Brion Blanc 1990 tops his bucket list. When it comes to natural wines, the jury is out. “Sometimes you have to intervene if Mother Nature doesn’t play ball. If I don’t enjoy or understand a wine I can’t recommend it,” he says. Moore is also a founding partner of the London Cocktail Club, which has eight sites in the capital and has recently raised £1m for expansion. He has appeared on MasterChef: The Professionals and BBC2 series The Restaurant with Raymond Blanc. He dreams of owning a vineyard in Sussex.